"Somebody Loves You", "Blueberry Hill"
(1962) "The End of the World"
(1962) "I'm Saving My Love"
"The End of the World" is a country pop song written by composer Arthur Kent and lyricist Sylvia Dee, who often worked as a team. They wrote the song for American singer Skeeter Davis, and her recording of it was highly successful in the early 1960s, crossing over to the Pop charts reaching #2. It spawned many cover versions. "The End of the World" is a sad song about the aftermath of a romantic breakup. Dee, the lyricist, said she drew on her sorrow from her father's death to set the mood for the song. Davis recorded her version with sound engineer Bill Porter on June 8, 1962, at the RCA Studios in Nashville, produced by Chet Atkins, and featuring Floyd Cramer. Released by RCA Records in December 1962, "The End of the World" peaked in March 1963 at No. 2 on the Billboard Hot 100 (behind "Our Day Will Come" by Ruby & the Romantics), No. 2 on the Billboard country singles, No. 1 on Billboard's easy listening, and No. 4 on Billboard's rhythm and blues. It is the first, and, to date, only time that a song cracked the Top 10 (and Top 5) on all four Billboard charts. Billboard ranked the record as the No. 2 song of 1963. In the Davis version, after she sings the whole song through in the key of B-flat, the song modulates up by a half step to the key of B, where Davis speaks the first two lines of the final stanza, before singing the rest of the stanza, ending the song. "The End of the World" was played at Atkins's funeral in an instrumental by Marty Stuart. The song was also played at Davis's own funeral at the Ryman Auditorium. Her version has been featured in several films, TV shows, and video games (see "Appearances in media" below). (1975) "The End of the World"
In 1975, American pop music duo Carpenters released a cover of "The End of the World" as a promotional single from their live album Live in Japan. It was recorded at the Festival Hall, Osaka, Japan. "Can't Help the Way That I Feel"
(1990) "End of the World"
(1990) "Only Fools (Never Fall in Love)"
In 1990, British singer Sonia covered "End of the World". The fifth and final single from her debut album, Everybody Knows, it reached number 18 in the UK, the same chart position as the original. The single's B-side "Can't Help the Way That I Feel" also appeared on Sonia's debut album. This was her final single with Stock Aitken Waterman. A No. 2 hit in Sweden in September 1966 via a local cover by Mike Wallace & the Caretakers, "The End of the World" has also been remade by a number of other artists including Jessica Andersson on her 2009 album Wake Up, Anika (as B-side to her single "Yang Yang" and on her album Anika), Eddy Arnold, Best Coast, Debby Boone, Brilliant, Carola (in Finnish as "Maailmain"), Chantal Pary (in French "Le jour se lèvera), the Carpenters, Rivers Cuomo, Vic Dana, Bobby Darin, Lana Del Rey, Barbara Dickson, Dion, Mary Duff, Allison Durbin, Judith Durham, Exposé, Agnetha Fältskog, Rosie Flores, Emi Fujita, Girls, Nina Gordon, Herman's Hermits (as the B-side of "I'm Henery the Eighth, I Am"), Grethe & Jørgen Ingmann (released on the b-side to Eurovision Song Contest winner song 1963; Dansevise), Satoko Ishimine, Joni James, Cyndi Lauper, Brenda Lee, the Lettermen, Lobo, Julie London, Claudine Longet, Loretta Lynn, Al Martino, Johnny Mathis, Anne Mattila (in Finnish as "Maailmain"), Imelda May, Maywood, John Mellencamp, Anita Meyer, the Mills Brothers, Ronnie Milsap, Dorothy Moore, Mud, Anne Murray, Leigh Nash, Nomeansno, Patti Page, Helen Shapiro, Anne Shelton, Vonda Shepard, Nancy Sinatra, Sonia, the Tokens, Twiggy, Twinkle, Sharon Van Etten, the Vanguards, Bobby Vinton, Jeff Walker, Dottie West, Lena Zavaroni, and Tracy Huang (黃鶯鶯). In 2009 Susan Boyle remade "The End of the World" for her debut album, I Dreamed a Dream. Herman's Hermits covered the song. It was released in June 1965 as the B-Side to I'm Henry The VIII, I Am. Anna-Lena Löfgren recorded the song in Swedish, as "Allt är förbi", scoring a Svensktoppen hit for seven weeks between 9 October–19 November 1966. A cover version by Allison Paige peaked at number 72 on the Billboard Hot Country Singles & Tracks chart in May 2000. The Brazilian band Roupa Nova made a cover version in Portuguese, in 1997, named "O Sonho Acabou". There have been three Cantonese versions covered by three different Hong Kong singers, namely "長相思" by Pauline Chan (陳寶珠) in 1968, "含羞草" by Annabelle Lui (雷安娜) in 1981 and "冬戀" by Danny Chan (陳百強) in 1988. For the Mandarin version, the first one "打不動你的心" was covered by Hong Kong veteran female singer Rebecca Pan (潘迪華) in 1965 while the second one "後會無期" by another Hong Kong female singer G.E.M. Tang (鄧紫棋) in 2014. Subsequently, there was the third one titled "星夢之光", lyrics written by an SNH48 member, Wu Yanwen (吳燕文), and performed by SNH48 themselves in 2015. Cyndi Lauper covered the song in 2016, the cover is part of the album Detour. during the first and last episode of the 2017 British TV series The End of the F***ing World. the first part was played during a UK advertisement for Domino's Pizza in 2018, that shown the aftermath of a children's birthday party. ^ Gilliland, John (1969). "Show 10 – Tennessee Firebird: American country music before and after Elvis. [Part 2]" (audio). Pop Chronicles. University of North Texas Libraries. ^ Whitburn, Joel (2004). The Billboard Book of Top 40 Country Hits: 1944–2006, Second edition. Record Research. p. 180. ^ Whitburn, Joel (2004). Top R&B/Hip-Hop Singles: 1942–2004. Record Research. p. 147. ^ ""The End of the World" – Skeeter Davis: 1963". The Pop History Dig. 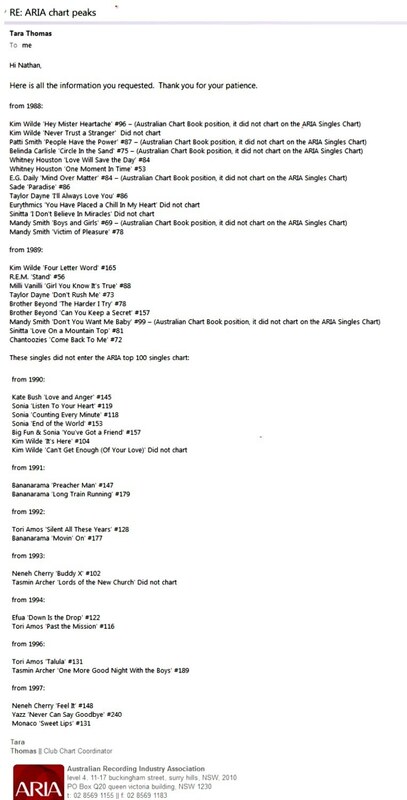 ^ a b "SKEETER DAVIS | full Official Chart History | Official Charts Company". Theofficialcharts.com. Retrieved September 26, 2016. ^ Whitburn, Joel (2002). Top Adult Contemporary: 1961–2001. Record Research. p. 73. ^ "SONIA | full Official Chart History | Official Charts Company". Theofficialcharts.com. Retrieved September 26, 2016. ^ "Response from ARIA re: chart inquiry, received 2014-06-17". Imgur.com. Retrieved July 29, 2015. ^ "Wake Up" (in Swedish). Swedish Meidadatabase. 2009. Retrieved July 8, 2018. ^ "Låt oss tro". Swedish Mediadatabase. 1966. Retrieved July 8, 2018. ^ "Svensktoppen" (in Swedish). Sveriges radio. 1966. Retrieved July 8, 2018. ^ Bronson, Fred (May 13, 2000). "Country Is Mr. Rogers' Neighborhood". Billboard. Retrieved March 11, 2013. ^ Levinson, Paul (November 2, 2009). "Mad Men 3.12: The End of the World". InfiniteRegress.tv. Retrieved November 2, 2009. ^ "BBC Radio 4 - Afternoon Drama, Pandemic". Bbc.co.uk. October 11, 2013. Retrieved September 26, 2016. ^ Mozuch, Mo. "Fallout 4 Soundtrack News: Audio Director Mark Lampert Confirms New Track [EXCLUSIVE]". Idigitaltimes.com. Retrieved September 26, 2016. This page was last edited on 21 April 2019, at 01:35 (UTC).